Located next to the piste on the Pied Moutet side of the mountain and set above the town of Les Deux Alpes, Le Flocon D’or is positioned in the resort’s ‘sun zone’, offering ski-in/ski-out access to the south facing slopes. 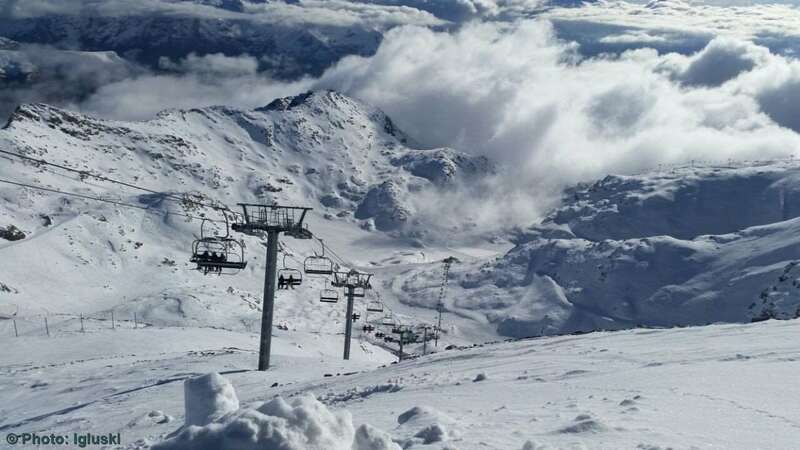 The Jandri express gondola, taking you up to Europe’s largest glacier, is less than a 10 minute shuttle bus away and the shops and lively bars and restaurants of Les Deux Alpes are less than a 10 minute downhill walk. The peacefully located, spacious apartments are well-equipped with the necessary amenities and each apartment has a private balcony enjoying stunning, panoramic views of the mountains and the valley below. The residence is a great base from which to enjoy the ski area and vibrant village of Les Deux Alpes. For keen skiers or those that are budget conscious and have less interest in the local nightlife, Le Flocon d’Or is perfect.